Let’s address a very important maintenance item for everyone – timing belt replacement. It’s important because letting this one slide can lead to very expensive engine damage. 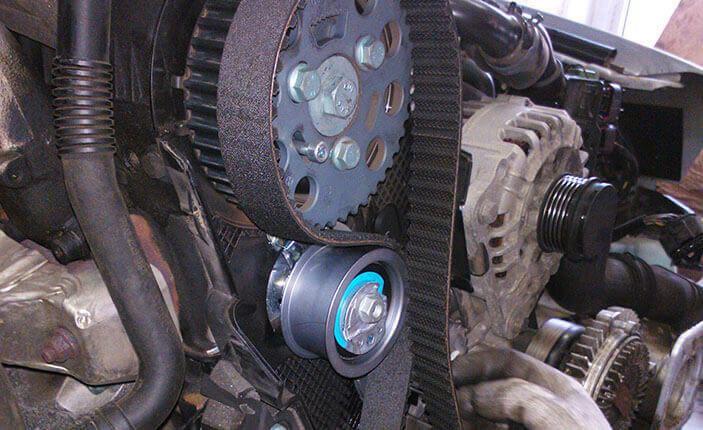 Now, timing belts just wear out naturally so you want to replace a worn belt before it slips or breaks. Check your owner’s manual or with the team at The Workshop Hawthorn to see when they recommend you replace the timing belt. If you’ve never replaced your timing belt and have more than 100,000 kilometers on the clock, talk with our team right away to see if you’re due. On some engines, the water pump is driven by the timing belt as opposed to the serpentine belt. If that’s the case, it’s a good idea to replace the water pump when you’re replacing the timing belt and vice versa, since much of the same work has to be done for either. The same is true for the timing belt tensioner – it should be inspected and possibly replaced.